Professor and poet Robert Darling of Keuka College has assembled a fine reading series at this small college on the shores of Keuka Lake, midway between Penn Yan and Branchport. On September 18, he hosted poet Sean Dougherty. Jennings read first, after mention of his East Texas roots, from Summoning the Outlaws (Kelsay Press, 2018). He leaned forward on the lectern, comfortable with the poems, the audience and himself. Poems about his youth and family in East Texas were particularly moving. Gritty, not in some stylistic way, but in lived experience. He admitted that he’d come to this book “after a dry spell,” encouraged by his wife, who was present, to look back. I am happy to report there was no nostalgia. Jennings cannot do other than report, not Joe Friday harsh, but still the facts, ma’am. I was immensely impressed by what he has done with this book. He was obviously moved during the reading, and I was convinced too. 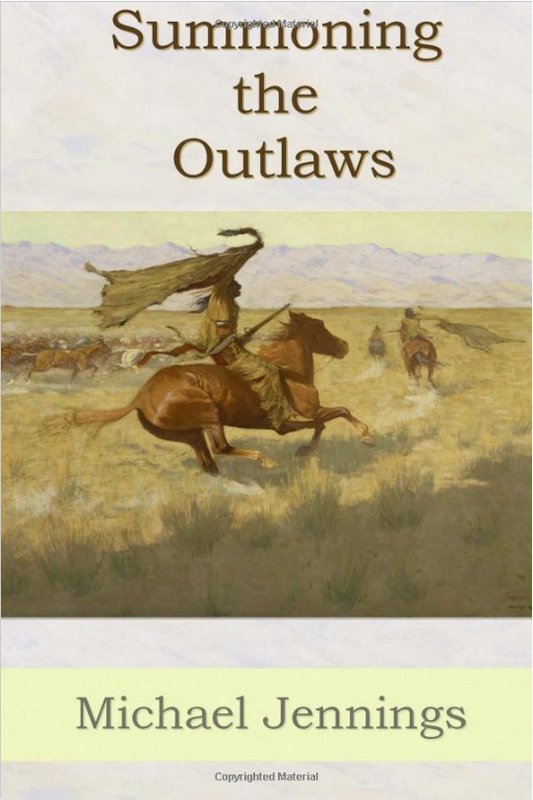 Bruce Bennett followed with poems from A Man Rode into Town (Foothills Publishing, 2018). His presentation was an effective counterpoint to Jennings’. His book, which he read entirely from, comes across as a single long poem on the American heroic figure of the Lone Gunman whose character has been the subject of so many stories, novels and films. Bennett paused to sing the signature tune from High Noon. Poet Ed Dorn is one of few writers to do as much with “Gunslinger.” Bennett’s style was drier, professorial, but still eloquent. His subject matter was the stereotype, though as a satirical poet his viewpoint and language (rhymed) often turned on new ways of seeing the old. Many of the poems, told straightforwardly, are followed by a short moral, delivered by the author in another (ironic) voice. So we are a long way from Zane Gray with both these poets, perhaps closer to the early “Westerns” written by Elmore Leonard, and certainly directly related to the morally complex “shoot-em ups” of the spaghetti Western and the slice-em ups of Toshiro Mifune in Yojimbo. All stereotypes deserve such an airing.